Teatro La Fenice is an opera house in Venice, Italy. It is one of the most famous and renowned landmarks in the history of Italian theatre as well as those in Europe. Especially in the 19th century, La Fenice became the site of many famous operatic premieres at which the works of several of the four major bel canto era composers—Rossini, Bellini, Donizetti, and Verdi were performed. Its name reflects its role in permitting an opera company to rise from the ashes despite losing the use of three theatres to fire, the first in 1774 after the city's leading house was destroyed and rebuilt but not opened until 1792; the second fire came in 1836, but rebuilding was completed within a year. However, the third fire was the result of arson. It destroyed the house in 1996 leaving only the exterior walls, but it was rebuilt and re-opened in November 2004. In 1774, the San Benedetto Theatre, which had been Venice's leading opera house for more than forty years, burned to the ground. By 1789, with interest from a number of wealthy opera lovers who wanted a spectacular new house, a competition was organised to find a suitable architect. It was won by Gianantonio Selva who proposed a neoclassical style building with 170 identical boxes in tiers in a traditional horseshoe shaped auditorium. The house would face on one side a campo, or small plaza, and on the other a canal, with an entrance which gave direct access backstage and into the theatre. Construction in began in June 1790, and by May 1792 the theatre was completed. It was named "La Fenice", in reference to the company's survival, first of the fire, then of the loss of its former quarters. La Fenice was inaugurated on 16 May 1792, with an opera by Giovanni Paisiello entitled I giuochi d'Agrigento set to a libretto by Alessandro Pepoli. But no sooner had the opera house been rebuilt than a legal dispute broke out between the company managing it and the owners, the Venier family. The issue was decided in favor of the Veniers. From the beginning of the 19th century, La Fenice acquired a European reputation. Rossini mounted two major productions there: Tancredi in 1813 and Semiramide in 1823. Two of Bellini's operas were given their premieres there: I Capuleti e i Montecchi in March 1830 and Beatrice di Tenda in March 1833. Donizetti, fresh from his triumphs at La Scala in Milan and at the Teatro di San Carlo in Naples, returned to Venice in 1836 with his Belisario, after an absence of seventeen years. In December 1836, disaster struck again when the theatre was destroyed by fire. However, it was quickly rebuilt with a design provided by the architect-engineer team of the brothers, Tommaso and Giovanni Battista Meduna. The interior displays a late-Empire luxury of gilt decorations, plushy extravagance and stucco. La Fenice once again rose from its ashes to open its doors on the evening of 26 December 1837. Giuseppe Verdi's association with La Fenice began in 1844, with the premiere performance of Ernani during the carnival season. Over the next thirteen years, the premieres of Attila, Rigoletto, La traviata and Simon Boccanegra took place there. 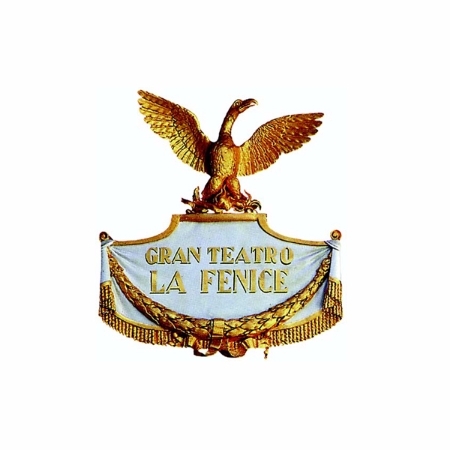 During the First World War, La Fenice was closed, but reopened to become the scene of much activity, attracting many of the world's greatest singers and conductors. In 1930, the Venice Biennale initiated the First International Festival of Contemporary Music, which brought such composers as Stravinsky and Britten, and more recently Berio, Nono and Bussotti, to write for La Fenice. On 29 January 1996, it was completely destroyed by fire. Arson was immediately suspected. In March 2001, a court in Venice found two electricians, guilty of setting the fire. They appeared to have set the building ablaze because their company was facing heavy fines over delays in repair work in which they were engaged. After various delays, reconstruction began in earnest in 2001. In 650 days, a team of two hundred plasterers, artists, woodworkers, and other craftsman succeeded in recreating the ambiance of the old theatre at a cost of some €90 million. The seating capacity has been increased from 840 to 1000. La Fenice was rebuilt in 19th-century style on the basis of a design by architect Aldo Rossi who, in order to obtain details of its design, used still photographs from the opening scenes of Luchino Visconti's 1954 film Senso which had been filmed in the house. It reopened on 14 December 2003 with an inaugural concert of Beethoven, Wagner, and Stravinsky. The first staged opera was a production of La traviata in November 2004.